Is your Mercedes-Benz sedan, coupe, or SUV in need of service in a pinch? Whether you have had an unexpected issue or need a last-minute oil change for your MY08 or older Mercedes-Benz vehicle, the Express Service Center at Autohaus on Edens in Northbrook, IL is here to serve you. Continue reading below to learn about our brand new express automotive service. Come in to our Express Service Center at any time, and get the attention you and your Mercedes-Benz vehicle deserves with no appointment necessary. The experts at Autohaus on Edens know your time is precious, which is why you’ll get in and out in an hour or less*. Only expertly trained Mercedes-Benz technicians will perform service on your vehicle, giving you peace of mind that it’s always in good hands. Our technicians are thorough and take pride in their work to ensure your Mercedes-Benz model stays running for miles to come. Our Express Service center has been created with you in mind. Services such as lubrication, filter changes, and basic maintenance can be completed without an appointment in a timely manner. A free car wash is included in your Express Service, so you can drive away looking as good as your vehicle is running. The Express Service at Autohaus on Edens in Northbrook, IL has been created to make it easy to keep your Mercedes-Benz luxury sedan, coupe, or SUV running in top condition. While your vehicle is being quickly serviced, you can wait comfortably in our service customer lounge. 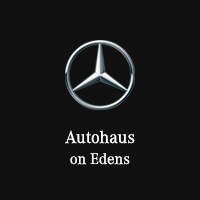 Visit Autohaus on Edens Today! Autohaus on Edens is located on Frontage Road in Northbrook, IL. If you have any questions regarding our Express Service, give us a call at (847) 272-7900 to speak to a technician. Check out our contact us page for our hours and directions. The team at Autohaus on Edens is proud to be delivering you this brand new service, and we look forward to working with you.